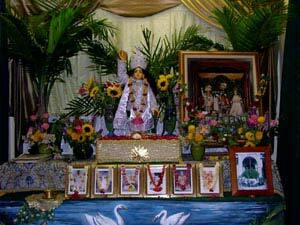 Srila Govinda Maharaj speaking about the glories of Sri Radha. 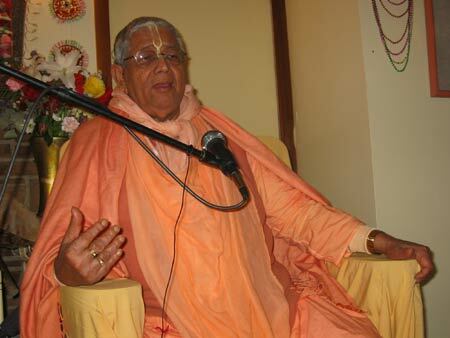 Srila Gurudev chanting Sri Sri Radhika Stutih and Sri Radhastaka. 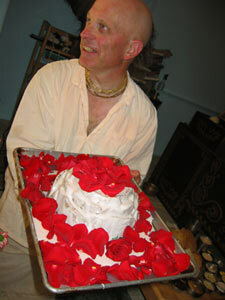 ...and a cake bedecked with rose petals. 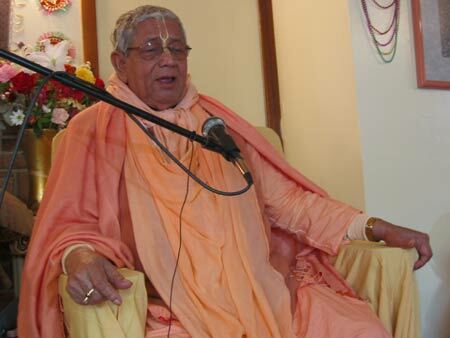 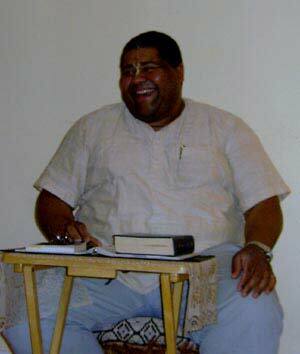 Ramai Prabhu, veteran pujari, always happy doing his service. 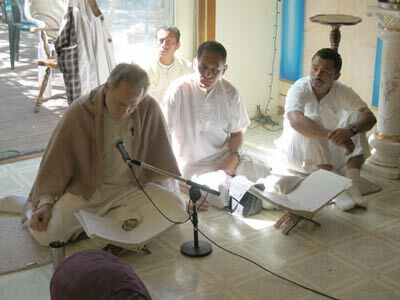 Sarvabhavana Prabhu reading from the scriptures. 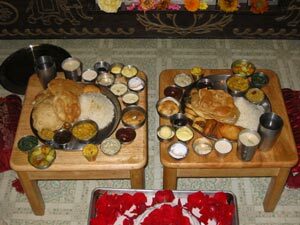 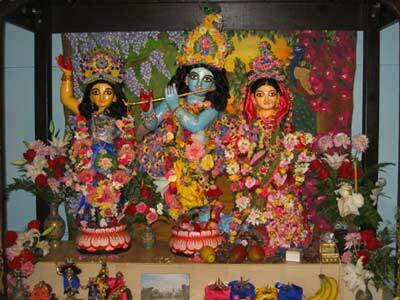 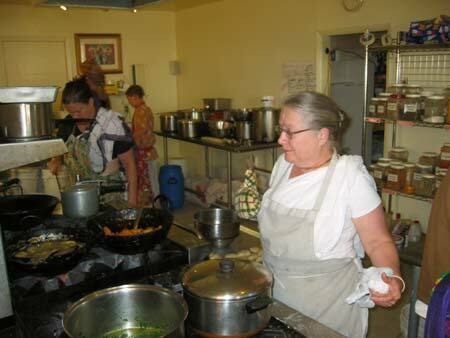 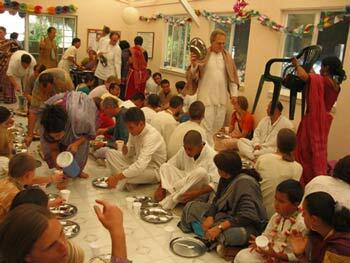 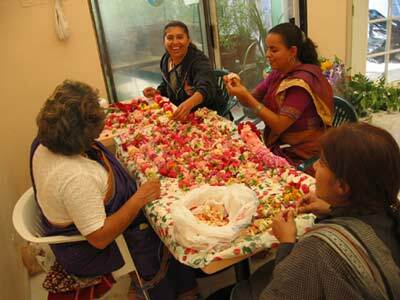 Suresvari Didi, Sanatani Didi and others busy in the kitchen. 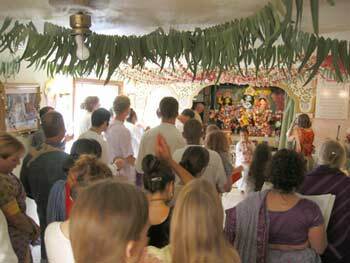 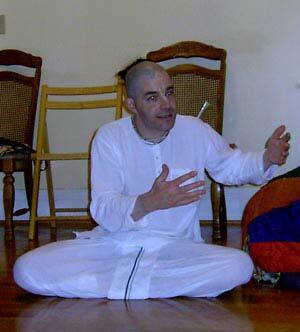 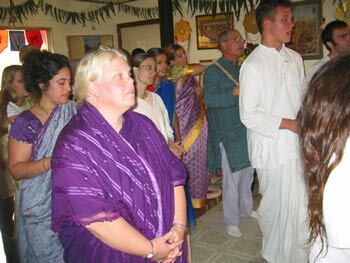 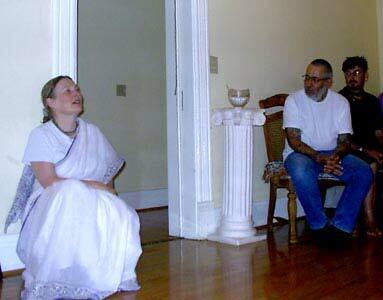 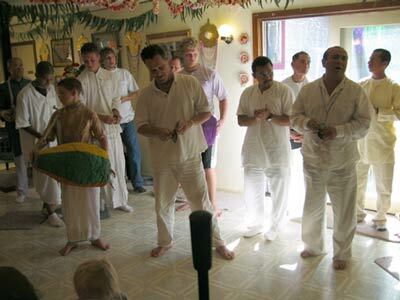 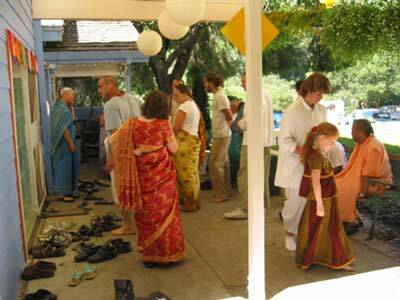 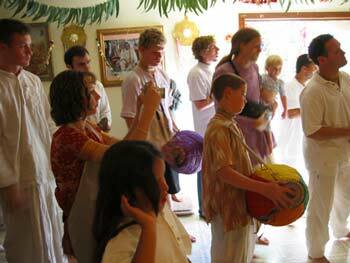 Mahaprabhu in our San Jose Seva Ashram. 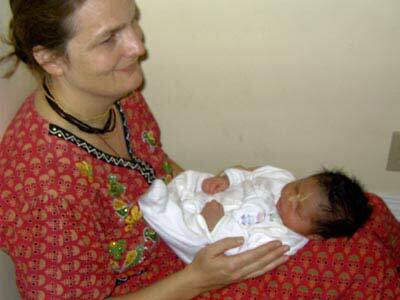 Krishna Kanti Didi holding the newborn baby of Yogeswari Didi.